Apparently the latest trend is for husbands and their wives to “co-pastor” and “co-lead” churches. On trendy churches’ websites there is most times a picture of the dynamic ministry duo introducing themselves as “pastors so-and-so”. Is this right? Should churches be lead by couples? Perhaps even more controversially, should churches be lead by women? 1 Corinthians 14:33-35 speaks to the role of women in the church. This passage has been a hugely controversial passage over the years and a massive problem for feminists. It is best to describe the rise of the feminist movement in two waves. The first wave occurred from the 18th to the 20th century. As a result, women were granted the vote, property rights and equal access to education and other professions. We thank God for this. Many Christians were involved in this first wave of securing equal rights and dignity for both genders. The first waves was good, godly and in line with the fact that both men and women are created in the image of God and worthy of respect. The second wave of the feminist movement has been happening for the last 50 years and is very different. In this movement a number of confused thinkers want to liberate women from womanhood. Once important things like marriage, motherhood, home-making and caring for your children are derided as being fit only for the subnormal, unstable and emotionally weak. Staying at home to care for children is seen as the worst thing a mother could possibly do. Women are told that in order to take control of their lives they must separate themselves completely from the interests of men and seek to please themselves only – even if the man happens to be their husband. Modern Feminism rebels against God’s order for his world. Bible tells us that at the beginning of the world God created us male and female. If you are female, God intended you to be female, not male. Your gender was not an accident. You should celebrate your womanhood. The same goes for males. The genders are equal before God; no more or less important; both genders are spiritually accountable to God; both responsible for our actions; and created in God’s image. However, we have different roles and functions. 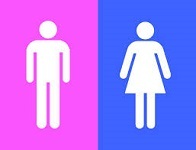 Males and females are different physically, emotionally and in psychological make up. God has made us different so that we compliment each other. As a result, we have different roles and functions in our families and our churches. In Jewish and Greek culture of the day women were not considered very important. A Jewish rabbi would not teach women. Although women were allowed in the temple in Jerusalem, women were not treated as equals. Men did the learning. On contrary, the Bible is pro women learning. Paul says that women should be learning. They are not to be overlooked. The church stands for equal opportunities. By the way, we do come to church to learn! Never be satisfied with a church where you learn nothing. In God’s church, just as in the family, God has appointed men and women to different roles. God is glorified by our obedience to those roles and families and churches function better. Just as husbands are called to be the head of the home and love their wives sacrificially, so in the church family God has called spiritually qualified men to assume the leadership oversight and the teaching of the Word of God. This means that women are not to engage in the authoritative teaching of God’s Word in the assembled congregation. (The assembled congregation is the context of 1 Corinthians 14). How weird would it be to be taught from the Bible that husbands should lead their families and then you come to church and a woman is leading the church family, including her husband? Women are also not to govern the church; that too is the function of the eldership, made up of spiritually qualified men. When Paul writes that women were “not permitted to speak”, he is not meaning of speaking in general, but the teaching God’s word to the gathered church. It seems like they were “liberated” women in the Corinthian church who were disrupting the service by asking questions. The questions may have been good questions, but Paul says the gathered church service is not the place to ask them. Let me clarify what the Bible means and doesn’t mean. This passage does not mean women can never teach. In Titus 2, the Bible commands the older women to teach the younger women. Women are indeed commanded to teach, but not in the assembled church. At church, women should – just as men – be used in singing, praying, giving testimonies and reading the Bible – but not in teaching. Neither does Paul mean that women can never assume leadership roles. Women can be deacons (1 Timothy 3). Nevertheless, the overall pastoral and spiritual oversight falls to the Elders, who are men. Not just any men, but spiritually qualified men. Why can’t women teach in the church gathering or practice overall spiritual oversight? V34 says “as the Law also says.” “The Law” is the Old Testament. In other words, this is not just Paul’s opinion, but based on God’s word. In the Old Testament, the book of Genesis tells us Adam was formed first. If Eve was formed first she might have been called to be head of the home and elder of the church – but that was not God’s good design for humanity. Genesis also tells us that Eve was deceived first and sinned. Let’s not forget that Adam was there with her so must also accept responsibility. Nevertheless, Eve was deceived when she took the initiative over her husband. She not only disobeyed God, but confused the gender roles within the family. I know that many men and husbands don’t lead and it becomes very tricky for some wives and some churches. Yet we should be striving for God’s order to be demonstrated and practiced in our church family and our home families. Practically, in our church, the principle of male headship means that all our Elders our men, our Sunday service leaders are men and those who teach the Bible to the gathered church are men. We use women to lead some of our ministries (e.g. missions, family care, catering), to teach ladies’ Bible studies and to teach in the Sunday School. We thank the Lord for the many godly and gifted ladies in our church who are content and enthusiastic to serve in the roles that God has given to women. Should women be pastors? No. God has given the genders complementary different roles and functions. You may be wondering why women could prophesy in 1 Corinthians 11? Here is my suggested answer.